It only existed for one brief shining moment in time. 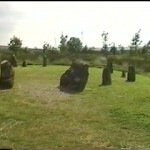 The Ulster History Park in County Tyrone was a gem of an outdoor museum that opened in the early 1990s and closed around 2004. 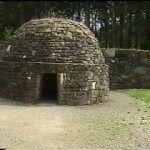 The Omagh District Council closed it because it wasn’t able to support maintaining the 35 acres of exhibits on the income generated by the few visitors it received. It is a pity. All of the exhibits are excellent and educational. 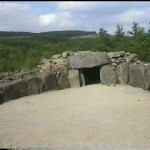 I was fortunate to have visited during its brief lifetime. 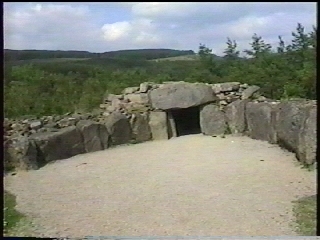 Today, it is opened only for special events and school trips. 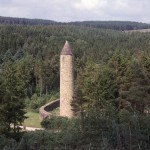 The park was located near Omagh, County Tyrone. 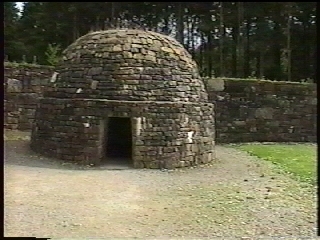 Unlike the nearby Ulster-American Folk Park, it was difficult for tourists to find, which I believe was the main cause of its demise. 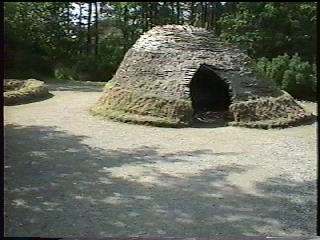 The History Park had many reconstructed homes, megalithic tombs, and monuments that exhibited life in Ulster from 8000 BC to the Plantation of Ulster in the 17th century. 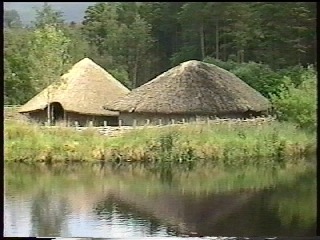 The exhibits were well done showing the dwellings of the pre-Celtic stone age people and the homes and villages of later day Irish farmers. 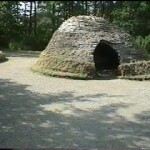 The Mesolithic Camp (8000-4000 BC) – This shows the dwellings of Ireland’s first human inhabitants. 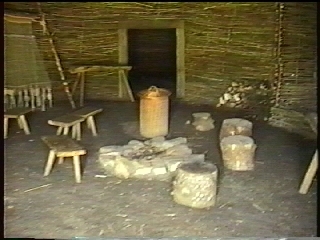 They lived a transient existence in flimsy huts covered with bark or animal skins. 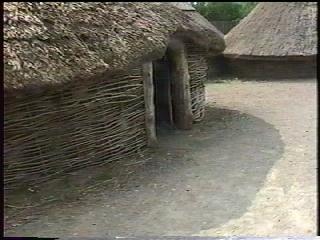 Neolithic Houses (4600-2300 BC) – These inhabitants lived in sturdier houses with walls built of wattle or split logs and roofs of thatch. Many continued to hunt and gather but farming became possible when the forests were cleared and people planted crops and raised animals. 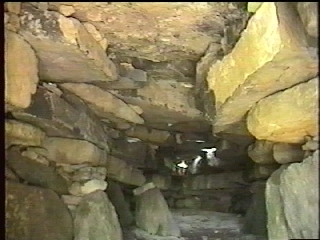 Court Tomb (4000-3500 BC) – The people of the stone age built elaborate tombs for their dead, such as court tombs, wedge tombs, and portal tombs. 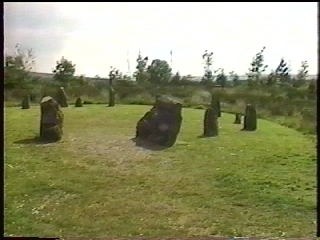 Stone Circle (2500-600 BC (Bronze Age)) – It is not known how these were used. 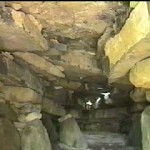 They were probably used for religious rites as well as marking the time of year from the movement of the sun. 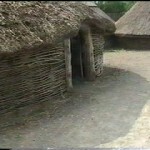 Raths (Early Christian Period) – These were the enclosures of farmer homes. 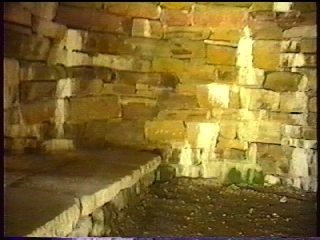 They were circular areas surrounded by earthen banks and palisade fences. 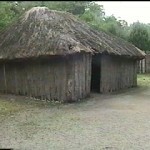 The homes were made of wood or wattle walls and thatched roofs. 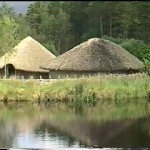 Crannogs (Early Christian period to 17th century) – Crannogs were artificial islands built on a lake. 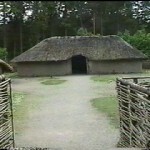 They were used for defensive purposes as well as housing a people who depended on hunting wildfowl and fishing. 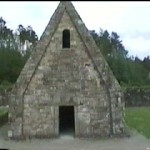 Monastery Settlements (Christian period to 13th century) – These were the first “towns” in Ireland that surrounded the churches and settlements of monks. 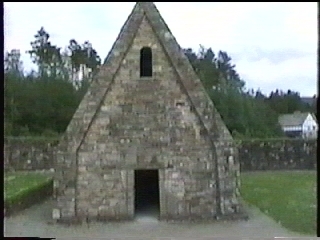 The Monastery in the History Park has walls and stone buildings for the church and monks’ huts as well. 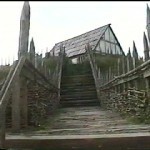 (Most monasteries of that time had buildings made of wood.) 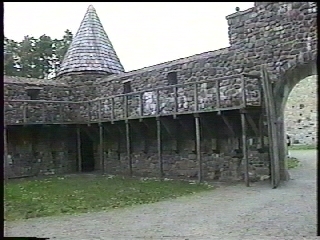 The monastery in the park also has a round tower. 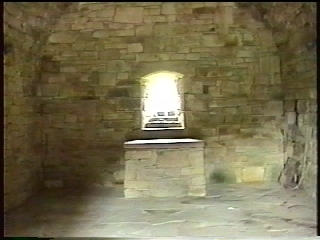 Such towers were bell towers although they were also used for storage of valuables and gave refuge during attacks. 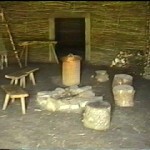 They were particularly useful when Vikings came to call. 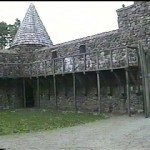 Motte and Bailey “Castle” (12th century) – When the Normans came to Ireland, they brought their design for an early version of a fortified castle with them. 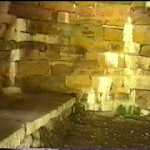 The motte is a high mound of earth surrounded by a bailey, a bank of earth sloping down to a moat. 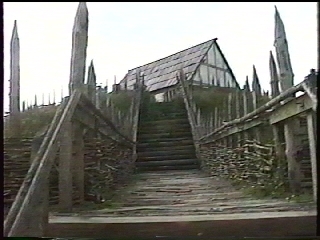 The buildings on the motte were made of wood and enclosed within a palisade wall. 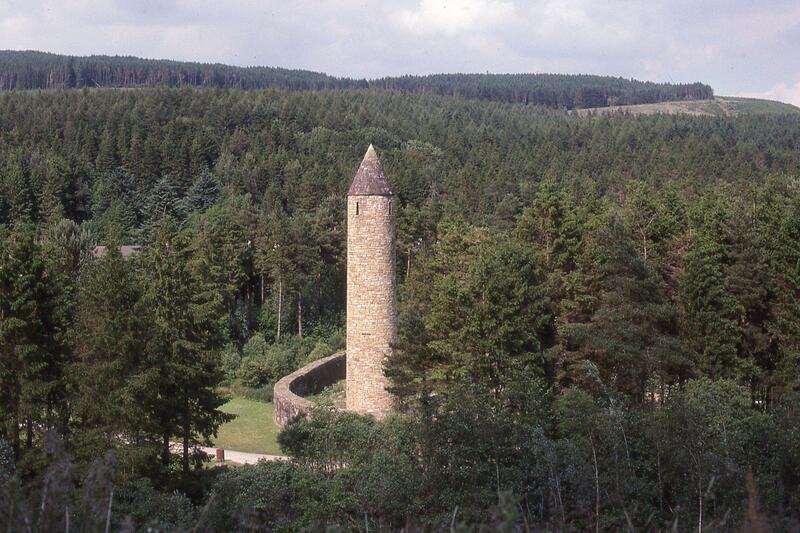 In continental Europe, the moat was filled with water, but in Ireland they were dry. 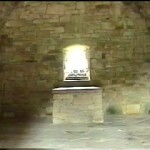 In later years, the Norman castles were, of course, made of stone. 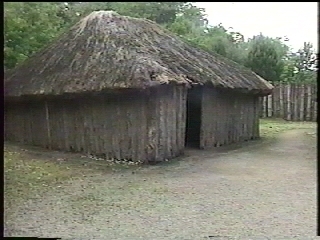 Plantation Settlement (17th century) – At the beginning of the 17th century, the Irish in Ulster were conquered by the English. 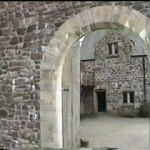 Land was confiscated and granted to planters from Scotland and England. 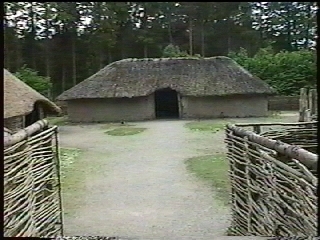 After a few uprisings, it was thought to be wise to build easily defended settlements for the new settlers and their non-Irish tenants to retreat in time of trouble. 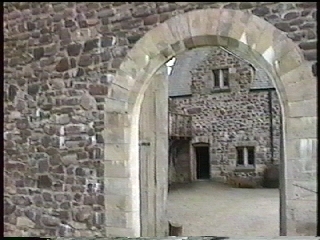 These settlements were built around the houses of the landowner and enclosed with thick walls with slits in which muskets could be fired at their attackers.